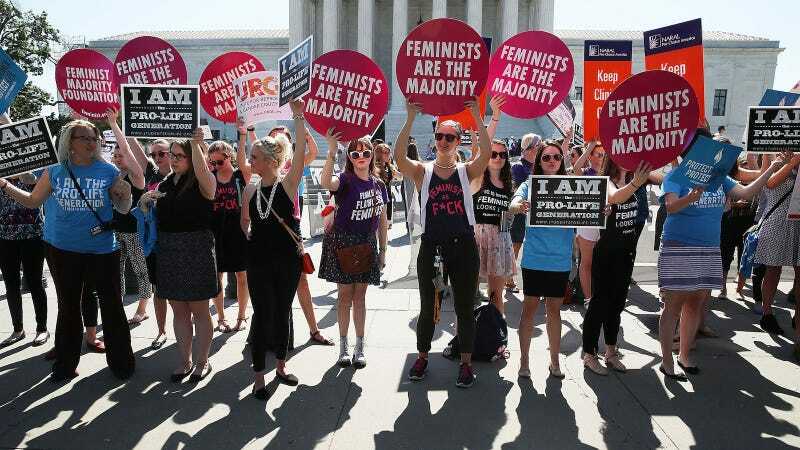 Arkansas may soon have just one remaining abortion clinic after the Supreme Court declined on Tuesday to hear a case challenging the state’s restrictions on medication abortion. The New York Times reports that the 2015 law, which could go into effect in July unless it faces another challenge, could shutter two of the state’s three remaining clinics. The law requires that a provider who “gives, sells, dispenses, administers, or otherwise provides or proscribes the abortion-inducing drug” must have a contract with another doctor who has admitting privileges at a local hospital, a restriction similar to an anti-abortion Texas law that the Supreme Court struck down in 2016. Planned Parenthood attempted to find doctors to enter into such a contract, but found that none were willing. This is how these laws trap abortion providers: Because abortion is a heavily stigmatized procedure, many doctors refuse to enter such contracts for social or political, rather than medical, reasons. Planned Parenthood argued that the law is medically unnecessary and places an undue burden on a person’s ability to access an abortion, which is unconstitutional. Little Rock Federal District Court Judge Kristine G. Baker ruled in the organization’s favor but the United States Court of Appeals for the Eighth Circuit overturned the decision, saying it was unclear how many people would be affected by the law. The Supreme Court declined to hear Planned Parenthood’s subsequent challenge. Of Arkansas’s three remaining abortion clinics, two perform only medication abortions, which do not require any surgery. Medication abortions consist of two pills—one of which can be taken at home— and account for nearly one third of all non-hospital abortions, according to the Guttmacher Institute.